But never mind that. Here we are in the season of mellow fruitfulness – and indeed the digital marketing world has once again provided a glut of sumptuous fruits to be gathered and stored up for the sparse winter to come. Got your wellies on? Great! Let’s go and pick the ripe ones…. Here we go again – another Digital Marketing Weekly Roundup, and another update on the video front. So, before we get into the details of this latest innovation from everyone’s favourite blue bird, let me reiterate a point that I’ve gone at lengths to hammer home in previous weeks. Video is fast becoming your number 1 concern for your content marketing efforts. There are no two ways about it. Every week – whether it’s Twitter or Facebook or LinkedIn or Pinterest or Snapchat – at least one social network (i.e. digital marketing channel) is providing yet another push for video. 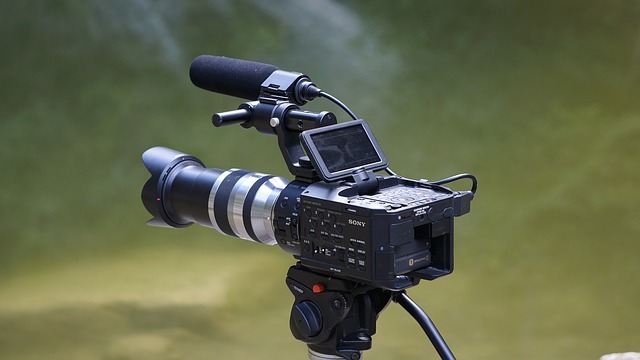 Video marketing has always fallen under the umbrella term of content marketing – but now these two terms should really be considered as synonymous. So, roll up your sleeves and figure out how you’re going to start bringing some live action footage to your digital output. For here’s yet another reason to do so – Twitter Pre-roll Ads For Videos. Twitter are advertising this new feature to marketers by emphasising the additional revenue that they will be able to generate (a smart marketing move, it has to be said – focussing on the value proposition is always a better conversion-driver than a focus on features (take note)). “In June, we shared a variety of ways that Twitter is investing in video, including longer video, new ways to explore video, and better ways for creators to connect with their fans. Today, we’re excited to announce the expansion of our creator revenue programs, which will provide creators of all sizes with the ability to monetize content in multiple ways and generate revenue at scale. Simple enough – but most importantly, I say again, this is yet more evidence of the continued focus that’s being placed on video marketing in 2016 and beyond. Time to get onboard, methinks. Yes. I like this one. Retargeting is a powerful practice in content marketing. AdWords and Facebook Custom Audiences have enabled it for a long time, and of course it’s possible to embed retargeting pixels on your website to track those users who have shown interest in your output before. But it’s always so much easier when a network provides businesses with a simple tool that takes care of the technical stuff for you – and Pinterest is the latest to step up to the mark. Pinterest Engagement Retargeting is the new feature that allows businesses to retarget those users who have engaged with their Pins in the past. “There are people on Pinterest who are already excited about and interacting with your brand. Now, with engagement retargeting, you can use Pinterest to effectively target people who have shown interest in your brand by interacting with your Pins in a variety of ways. For example, if someone saved your after school snack ideas, you can retarget them in the future with birthday party treats. efforts in combination with the new Promoted Video Pins that we covered a couple of weeks ago. Now that you can easily identify those Pinners who have been sniffing around your products, hit them with a video and seal the deal. You’ll be golden. Of course, if there’s one other avenue that we should all be exploiting besides video, then it’s mobile – and the latest innovation from Facebook provides yet another opportunity to do so. “Everybody loves a great offer. Advertisers want to attract people with discounts and other promotions, and people want to be able to easily claim and redeem offers whenever and wherever they like. That’s why we’ve re-imagined and redesigned Facebook Offers for a new, streamlined mobile experience. The Facebook Business Blog cites success that Apparel company Maurice’s had when testing the new Facebook Offers design, which saw a 31% increase on the ROI of its advertising spend on the network. That’s a pretty darn good result – so definitely worth heading over to your Offers Page and refining your catalogue to see if you can match or even beat it. That’s it for this fruity week! Enjoy your weekend. Go out and pick some blackberries and get them fermenting into a sweet and fragrant wine ready for a Chrimbo celebration of the successes your video marketing efforts will bring you from now until then.